Renault India has finally decided to go all guns blazing against the very popular Maruti Alto range. 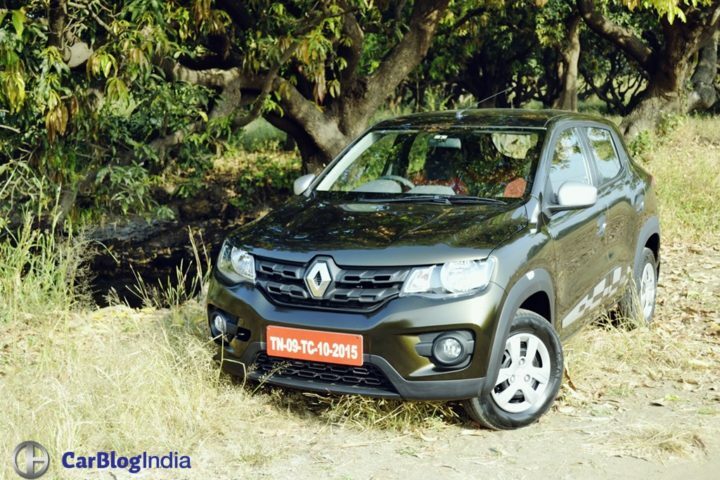 The Indian subsidiary of the French automaker began its small car offensive with the Kwid last year. 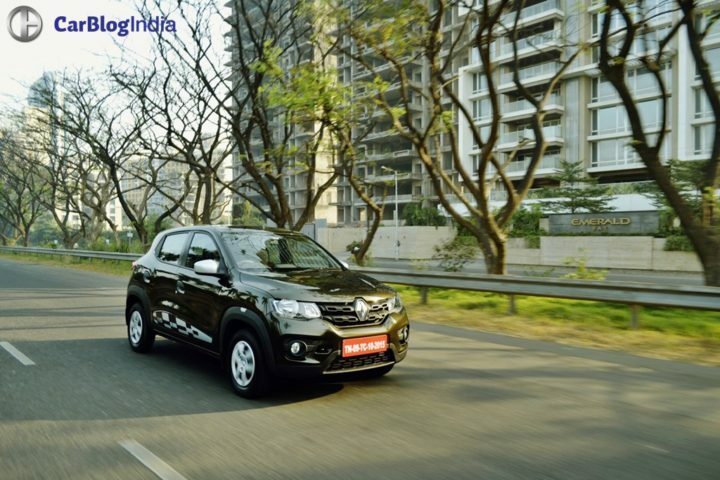 SUV-ish styling, spacious interior, frugal yet sufficiently peppy engine – the Kwid was quick to attract buyers with these very likable traits. 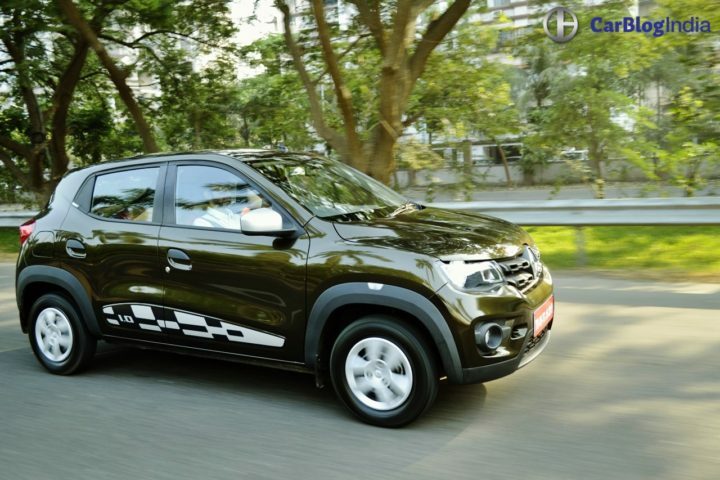 Earlier this year, the manufacturer came up with the Kwid 1.0, which took the fight straight to the Alto K10. Now, finally, here’s the Kwid Easy-R AMT to lock horns with the K10 AMT variants. 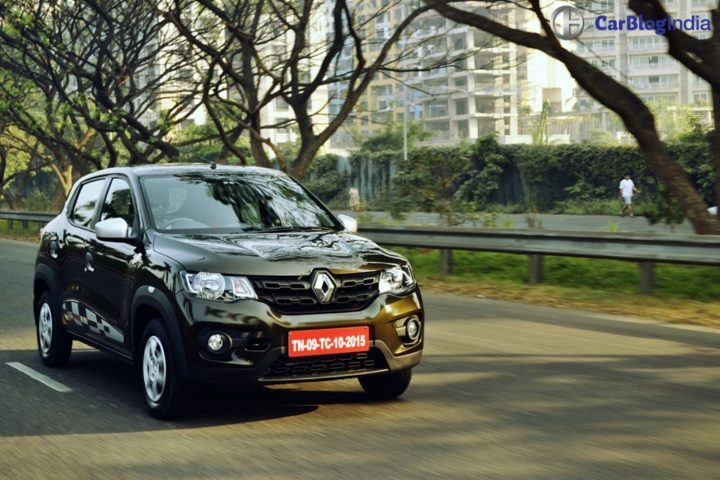 Here’s our Renault Kwid Easy-R AMT Test Drive Review to highlight all there is about this newcomer. Visually, there’s nothing much to differentiate between the Easy-R and the regular Kwid 1.0. The only tell-tale sign on the outside is the tiny ‘Easy-R’ badge on the bootlid. The car’s AMT credentials become a lot more apparent on the inside, where the gear lever has been replaced by a rotary selector on the center stash, and, of course, the clutch lever is conspicuous by its absence. However, apart from these rather minute changes, there’s really nothing to tell the Kwid 1.0 MT and Easy-R AMT models apart. All this means that the Kwid Easy-R, akin to the regular 1000cc models, benefits from the silver finish for the ORVMs and a chequered pattern decal on each side. The rest of it continues to be the same ‘Mini Me’ Duster that has left many small car buyers impressed. We appreciate the way this car breaks the monotony with its crossover-ish design. The high-set bonnet, flared wheel arches, 13″ mags, and body cladding go a long way in making this car look more special than other bargain basement hatchbacks on sale today. 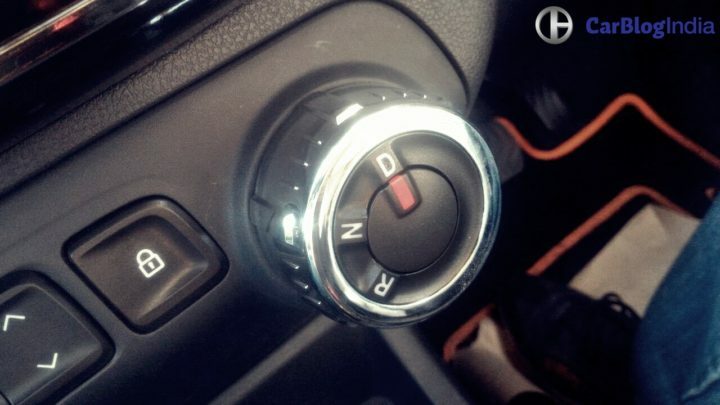 Like we said, the Kwid Easy-R misses out on a conventional gearlever. Instead, it gets a rotary gear selector on its centre console that helps you choose between D, N, and R. Apart from this, the interior remains bog similar. The Kwid offers impressive amounts of cabin space and a relatively gargantuan boot space of 300-litres! The fit and finish and the quality of materials used is top-notch for this class. Powering the Kwid Easy-R AMT is the same 999cc, 3-cylinder petrol motor that powers the regular Kwid 1.0 models. This engine outputs a max. power of 67 bhp at 5,500 rpm and a peak torque of 91 Nm at 4250 rpm. The Kwid 1.0 enjoys a best-in-class power to weight ratio of 97 bhp/tonne. The Kwid AMT thus feels sprightlier than its 800cc sibling. Getting to the heart of the matter – the 5-Speed Easy-R Automated Manual Transmission (AMT). The Kwid’s Bosch-sourced AMT has been fine-tuned by Renault for the rather challenging Indian driving conditions. 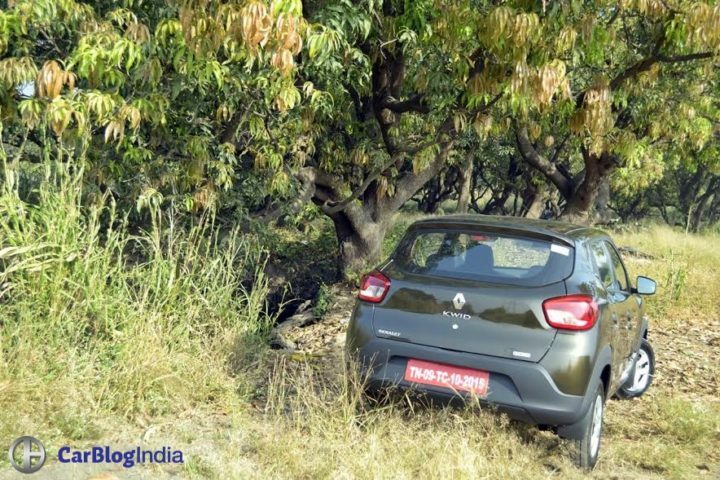 While the Kwid’s AMT is similar in mechanism to most other such transmissions, Renault has done away with the ‘creep’ feature. So, basically, the car doesn’t move forward in D mode unless there’s an accelerator input. Renault insists this has been done keeping in mind the feedback it has collected from many AMT users. On the go, the Kwid Easy-R feels almost exactly like its MT sibling. Of course, the gear shifts are now automated and the hassle of frequently operating the clutch in city traffic has been done away with. However, where the Easy-R also impresses is the fact that it feels as eager as the Manual Transmission models. There’s hardly any lag between the gearshifts and even the downshifts are smooth and pretty quick. A neat shove of the accelerator pedal is all it takes for the car to downshift and help you overtake fast-moving traffic. The Kwid’s AMT is easily among the better-calibrated units we’ve sampled. The suspension remains bog similar to that of the non-AMT variants. Hence, akin to the regular Kwids, the Easy-R AMT model boasts a surprisingly matured ride quality for a car in its segment. The suspension is sufficiently soft and the ride doesn’t really get too harsh on even the broken tarmac. 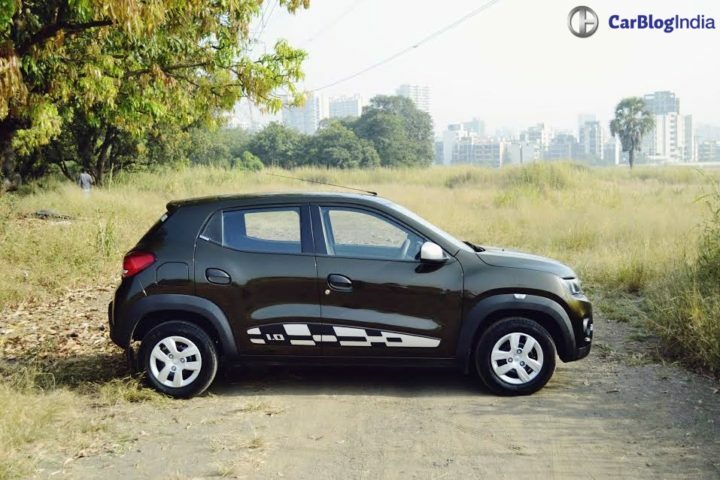 The Kwid’s suspensions swallows most of the undulations with ease. Another really appreciable aspect is thehigh-speedd stability of this car. The Kwid 1.0 AMT feels planted even at speeds north of 100 KMPH, which is something that we hardly get to see with these budget-end hatchbacks. The Kwid ain’t a bad handler either. The steering, being an EPS unit, doesn’t offer much in terms of feedback. However, it still feels sufficiently direct and we don’t have much to complain of here. The Kwid has always been a very likeable li’l hatchback. Spacious interior, rugged styling, fuel efficient yet considerably peppy engines – there’s enough to impress. And the new Easy-R variant offers all of this along with bringing in the convenience of an AMT. At a premium of just Rs. 30,000 over the manual model, the Kwid AMT seems like really good value for money. Summing it up, the Renault Kwid 1.0 Easy-R makes for a really good urban runabout! 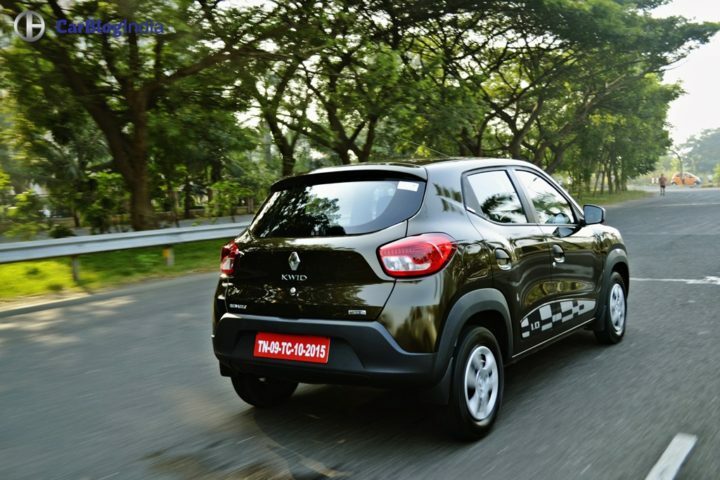 So, what do you say about our Renault Kwid Easy-R AMT Test Drive review? 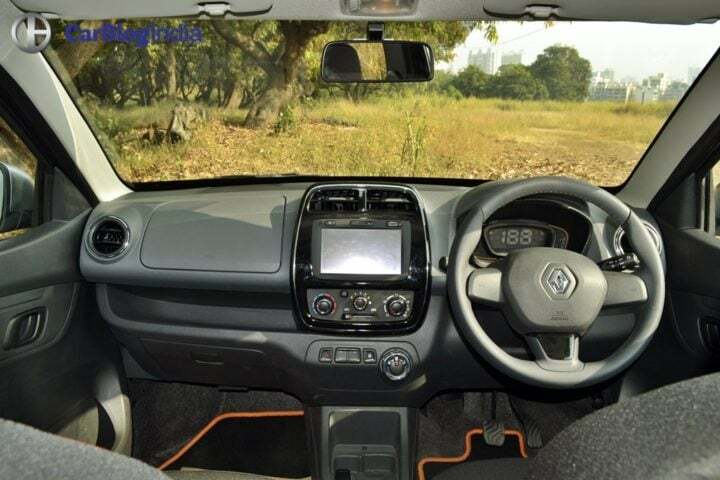 Stay tuned to CarBlogIndia for more posts like the Renault Kwid Easy-R AMT Test Drive review here.